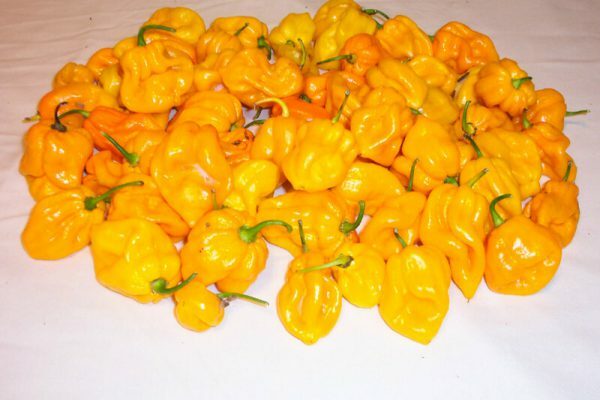 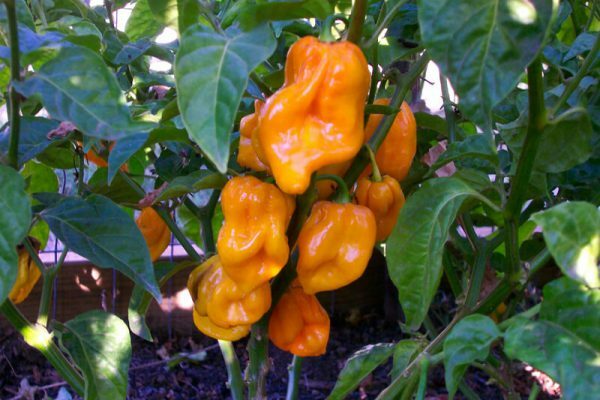 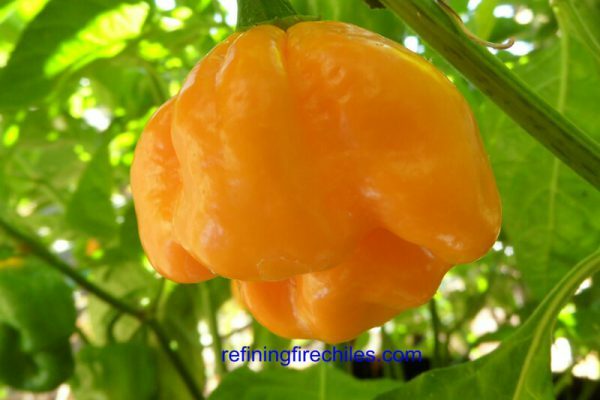 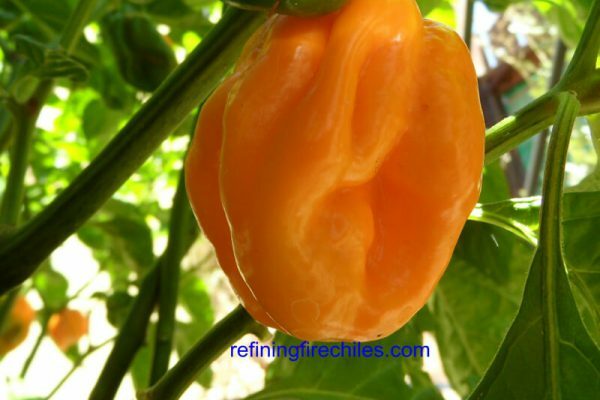 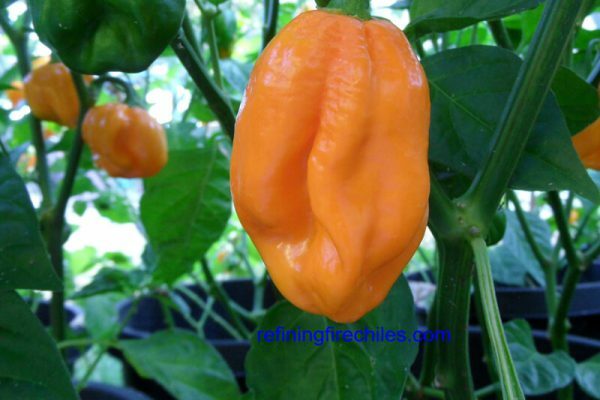 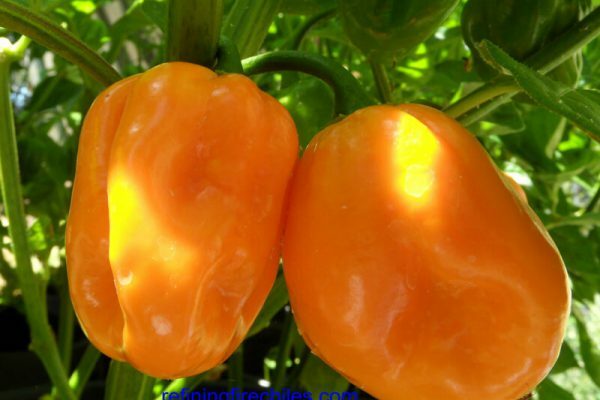 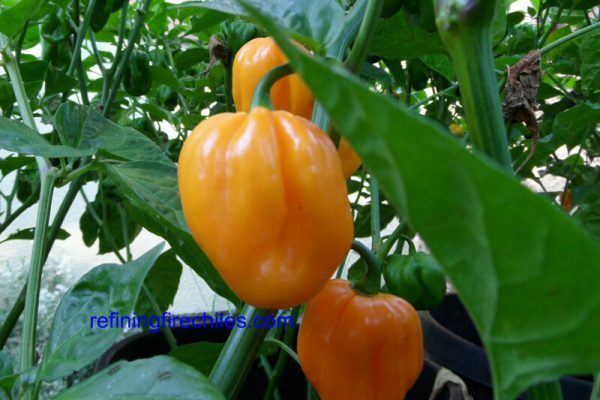 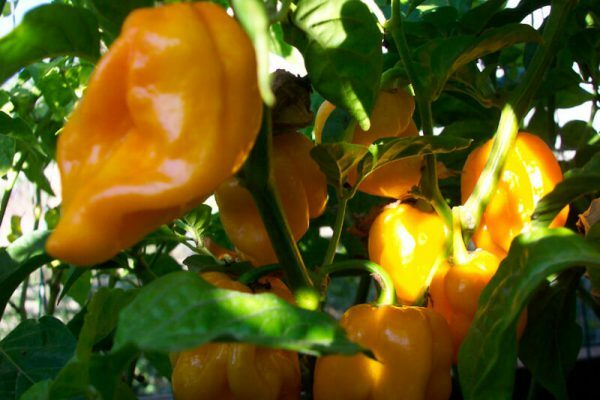 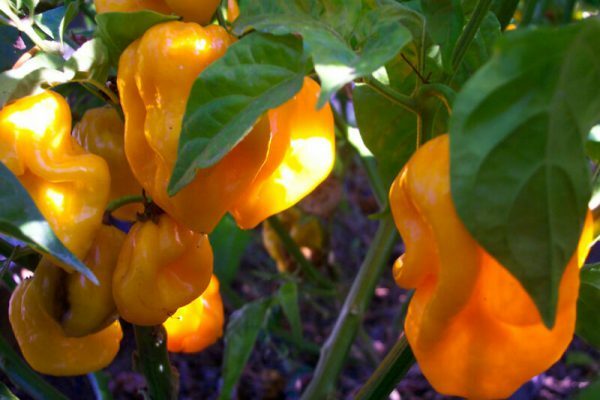 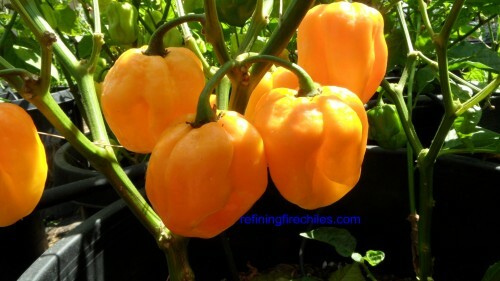 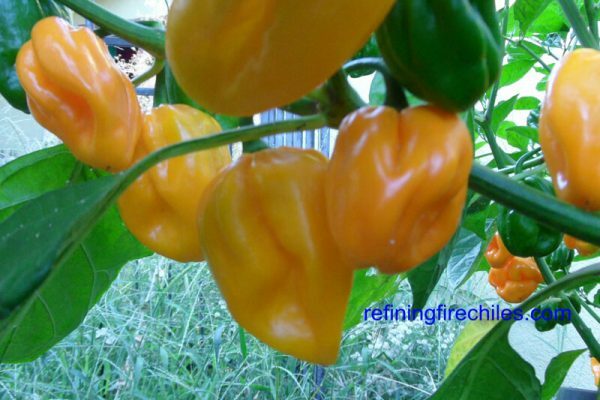 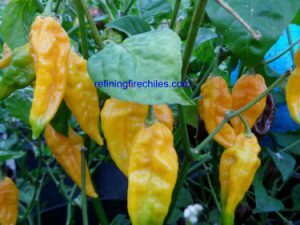 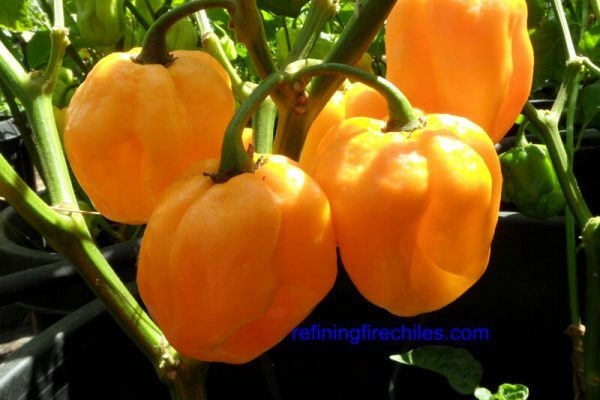 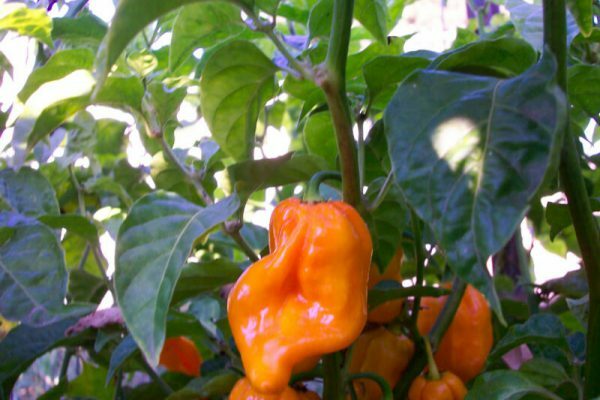 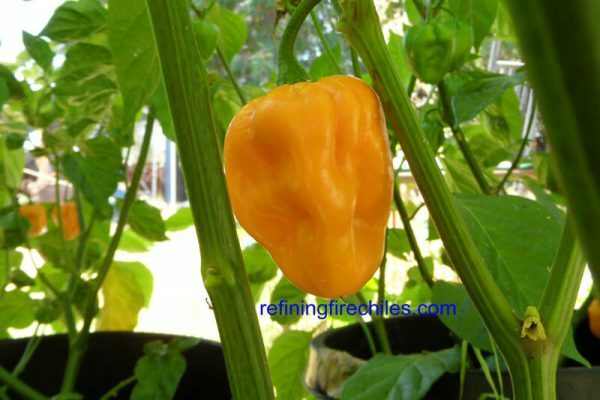 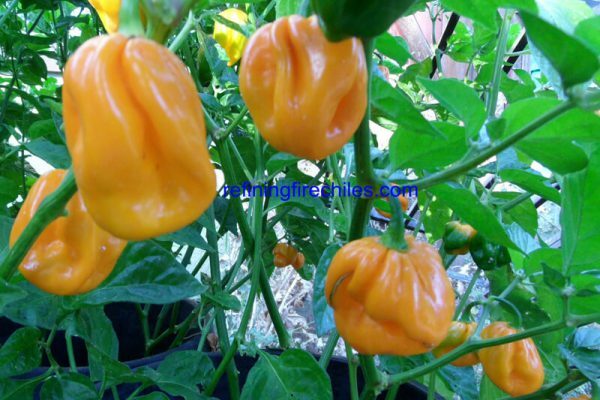 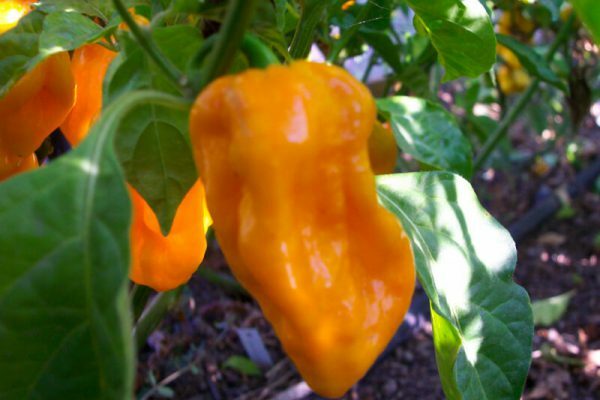 The Congo Yellow Trinidad is a very large habanero type from the Island of Trinidad. 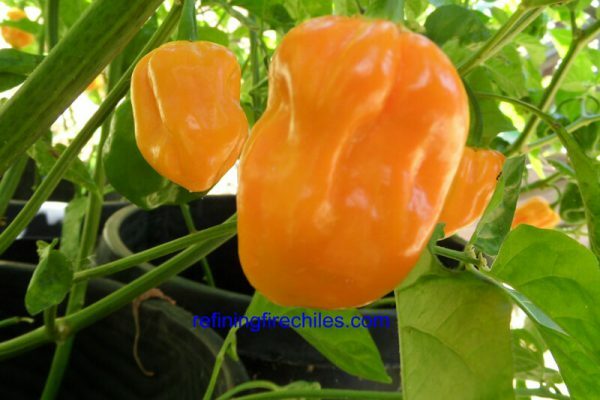 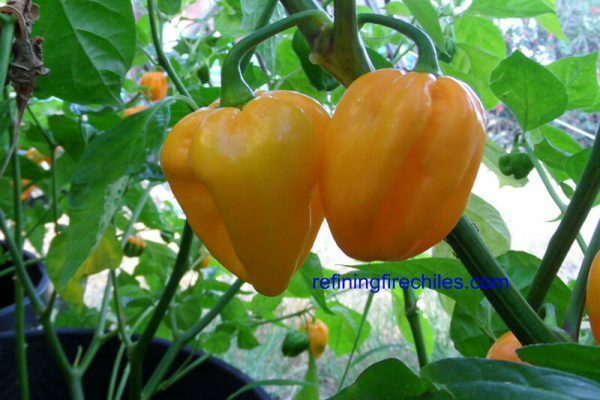 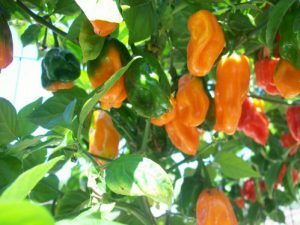 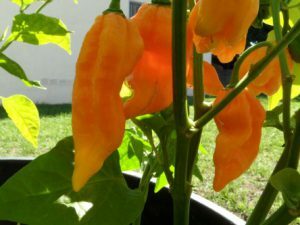 Pepper pods mature from green to yellow and if left to ripen longer get slightly orange. 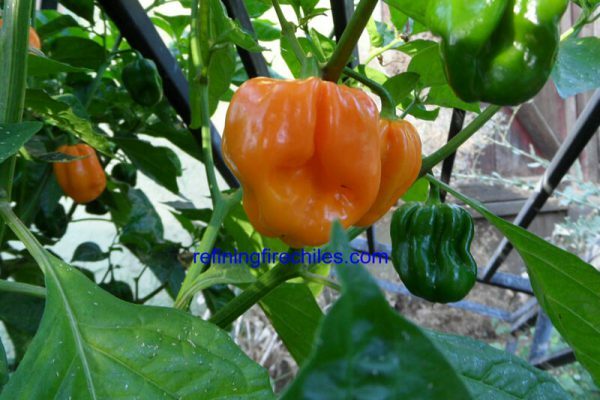 The peppers can get as big as 1/2 ounce just like the Congo Red and Congo Black. 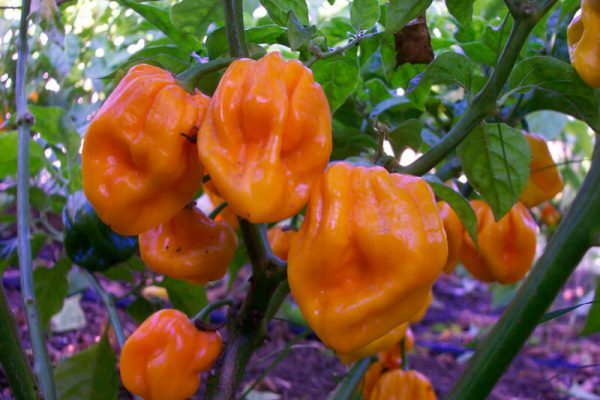 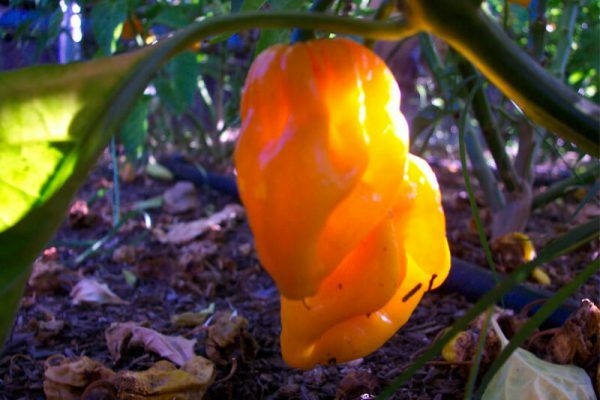 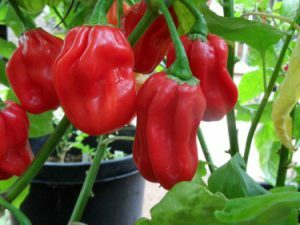 They have a slight smoky/fruity flavor and average around 150,000-300,000 Scoville units of heat. 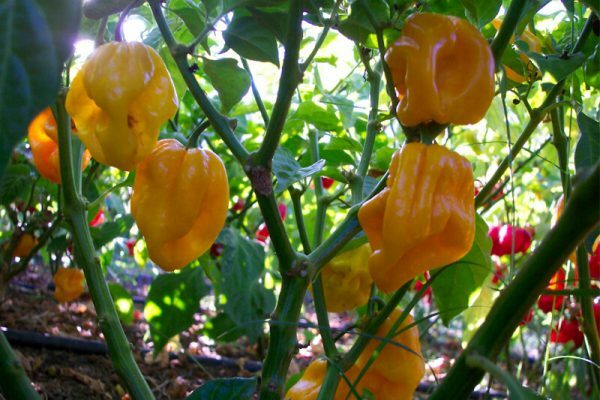 Plants get to be over a meter tall and produce so many pods they may need to be staked. 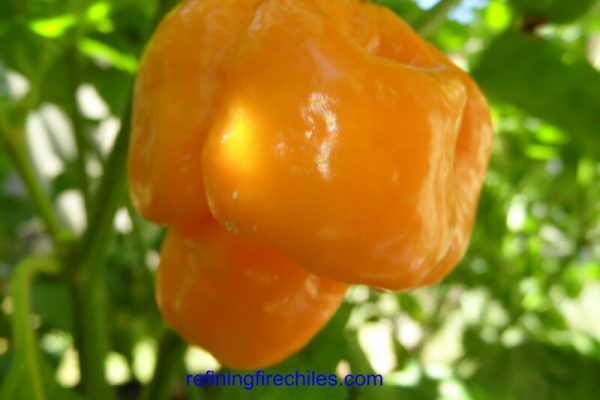 If you like the other Congo Peppers than you will like this one too!